I'm one of those countless women who tend to buy on impulse. 60% of the time, I am disappointed with those products I buy. Because of this, I tend to hesitate on buying a new product especially if the price is not within my budget. What I usually do is to wait for my friends to try it out so I can get their opinion about it. Most of the time, I search online through my best friend Google and read through other people's reviews. In the US and UK, there are countless of sampling sites that helps impulsive buyers like me. They send out product samples to their subscribers to help them decide on whether it's worth to buy the full size or not. If only there are sampling sites in the Philippines! 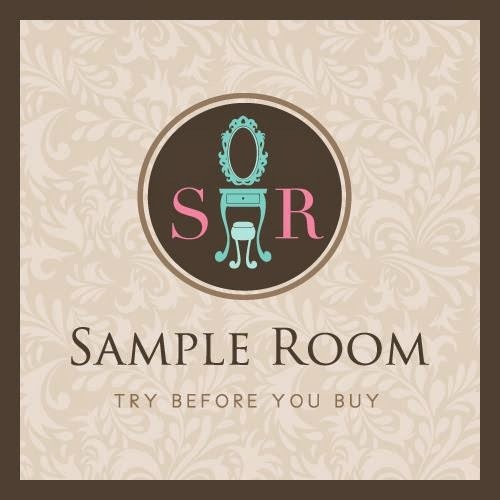 It was during one of my rummage online that I come across with a sampling site that specifically caters to those from the Philippines - Sample Room. Their tag line "Try Before You Buy" catches my attention and urges me to read on. Signing up is pretty straightforward. It requires you to answer some personal questions and beauty preferences to help them know the kind of sample that is most relevant to you. I signed up for an account and upon registration, you will be given an initial 100 points. You can get samples for as low as 10 points. All you have to shell out from your own pocket is the shipping fee. Delivery of the samples usually take 3-4 working days fro those who are in Metro Manila and 4-7 days for those who are on a different location other than Manila (as long as it's within the Philippines of course!). Once you receive your sample, you're expected to write an honest review about it. There are also a wide variety of payment options. You can do over the counter payment through Banco de Oro (BDO) and Bank of the Philippine Islands (BPI). All major credit cards are accepted - Mastercard, Visa, Discover, and American Express. You can also pay through Globe / TM GCash and Smart Money. I can't wait to try on the samples I ordered. I'll post a review here once I receive my goodies.